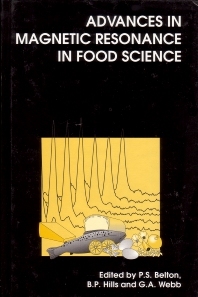 The highly versatile nature of magnetic resonance techniques in dealing with problems arising in many areas in food science is demonstrated in this book. Topics covered include development of the technique, functional constituents of food, signal treatment and analysis, along with applications of magnetic resonance to food processing and engineering. The international flavour of the contributions to this text aim to make it of value to both academics and industrialists in food science. Magnetic resonance in food: The developing scene; Water, ions and small molecules in food; Functional constituents of food; Signal treatment and analysis in magnetic resonance; Applications of magnetic resonance to food processing and engineering.